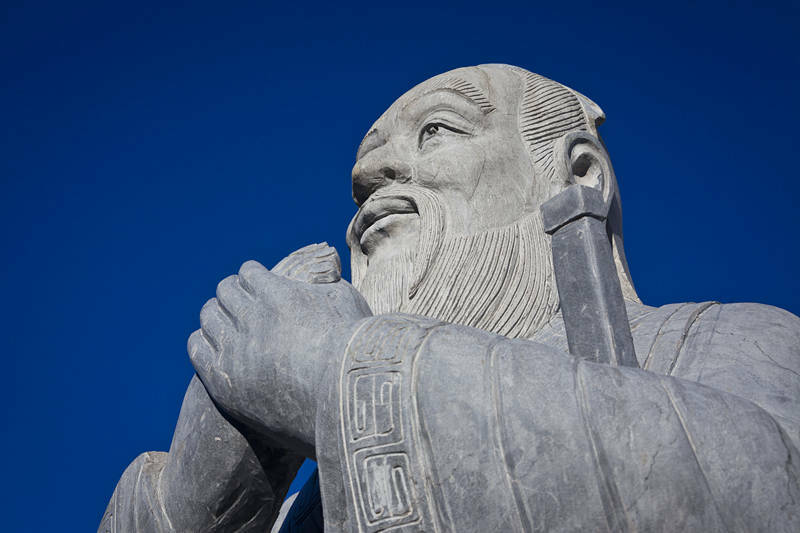 This statue of the Chinese philosopher Confucius was gifted to Southport, Australia in 2014. It overlooks the Chinatown precinct of the Gold Coast. The area is an exercise in urban regeneration not cultural recognition. Although a quarter of the population is born overseas there was no history of asian culture or business in the precinct. This makes it unique among the world’s Chinatowns. The statue is in front of an aesthetically challenged car park so needed an extreme angle to get a clean blue sky background.